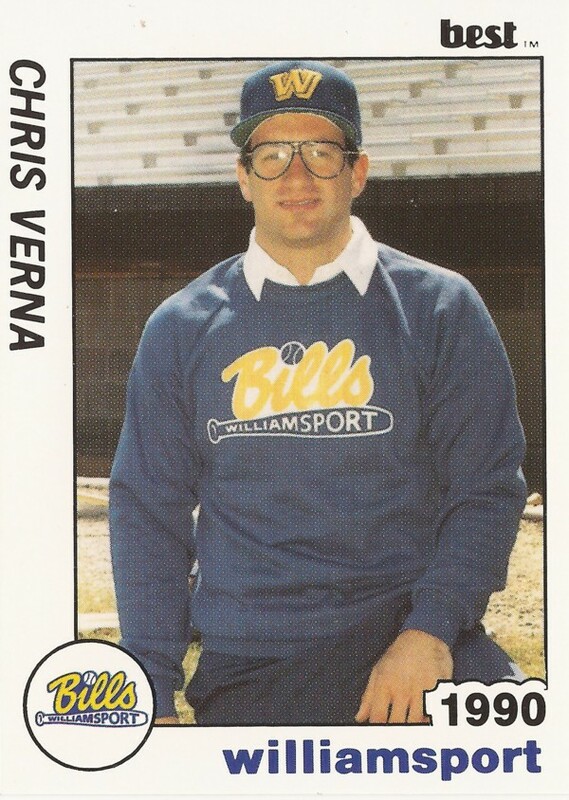 Chris Verna started his new career in baseball in 1988 and he described it to his hometown Allentown Morning Call as "a real big thrill." "I'm really looking forward to it, and I'm anxious to get started," Verna told The Morning Call. "But I'm also apprehensive, because I'm not quite sure what's going to happen, and what I'm going to run into." Verna's new career in baseball was as a trainer in the minor leagues for the Seattle Mariners. His assignment that year: single-A San Bernardino. Verna went on from the Mariners to go out on his own as an athletic trainer. 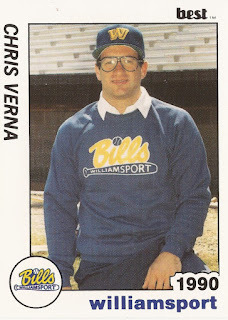 He now offers his own approach to sports training in Florida with the Chris Verna Training Center. Verna identifies himself on his training center site as "the premier authority in professional sports on performance enhancement, flexibility and preventative injury services." Verna started his career in sports medicine out of Southwest Texas State University. He went on to get a second degree in pre-physical therapy from West Chester University. Verna's first season with the Mariners came with a big responsibility: Seattle's 1987 first-round pick Ken Griffey Jr. Griffey got into 58 games with the club that year. That June, Verna had to help Griffey with a flare up of a back injury, according to The San Bernardino County Sun. "On this type of thing, you don't know how long it'll take," Verna told The Sun then. Griffey came back to make AA Vermont. He was in Seattle for the start of 1989. Verna returned to San Bernardino as trainer in 1989. In 1990, he was at AA Williamsport. Along with his work as a minor league trainer, Verna also continued work on sports medicine clinics in the Allentown area. He then built on both the clinics and his baseball trainer to found his training center in Florida. Along the way, he co-authored the "Complete Idiot's Guide to Healthy Stretching" in 1998. In 2007, he spoke to The Pittsburgh Post-Gazette about body vibration platforms and their use in helping in warmups. "I like to use it in the first part of the workout because it stimulates all the nerve endings," Verna told The Post-Gazette. "It's a much better warmup than riding the [exercise] bike." At his training center, Verna focuses on increasing athletic performance and overcoming reoccurring muscular and joint injuries, according to his site. He offers his services to both professional and amateur athletes.